(CBS/AP) The American ambassador who was killed Tuesday in an attack on the U.S. Consulate in Libya had represented U.S. interests in the nation under two presidents and worked as a diplomat for more than 20 years. 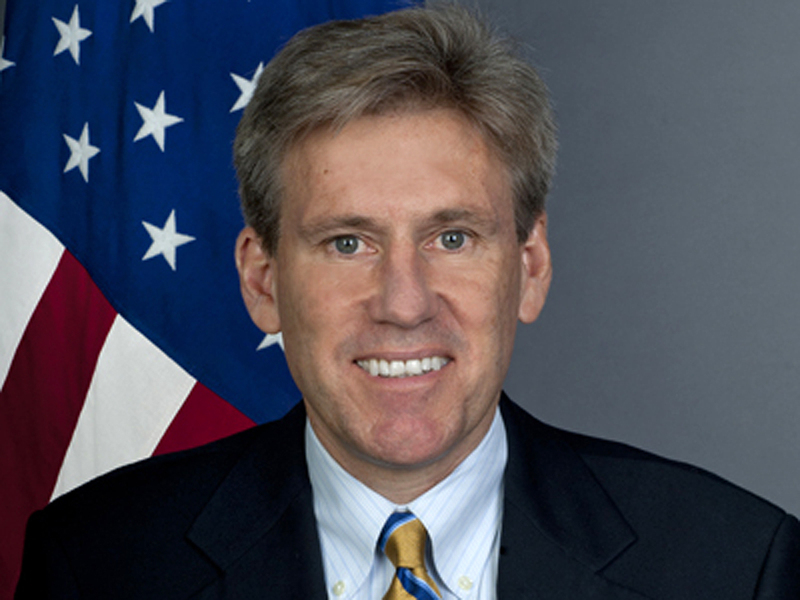 Ambassador Christopher Stevens, U.S. Foreign Service officer Sean Smith and two other Americans died when an unruly mob attacked the consulate in the port city of Benghazi. Stevens became the sixth ambassador in U.S. history to die in an attack, CBS News correspondent Nancy Cordes reports. He is the first U.S. ambassador to be killed since 1979, when Ambassador Adolph Dubs was killed in Afghanistan. "It's especially tragic that Chris Stevens died in Benghazi because it is a city that he helped to save," President Obama said at the White House. As deputy chief of mission in Libya, Stevens wrote several confidential cables back to Washington, describing the bizarre behavior of Libyan strongman Muammar Qaddafi. During the 2011 revolt against Qaddafi, he was one of the last American diplomats to stay in the capital city of Tripoli and after the embassy was closed, he was appointed to head the U.S. liaison office to the National Transitional Council. "He risked his life to stop a tyrant, then gave his life trying to help build a better Libya," Secretary of State Hillary Clinton told reporters at a Wednesday news conference. "The world needs more Chris Stevenses." Stevens joined the Foreign Service in 1991 and spent his early State Department career at posts in Saudi Arabia, Egypt, Syria and Israel. "Chris Stevens fell in love with the Middle East as a young Peace Corps volunteer teaching English in Morocco," Clinton told reporters. After working for the Senate Foreign Relations Committee staff for Sen. Richard Lugar, R-Ind., Stevens was posted to Libya in 2007. CBS San Francisco station KPIX-TV reports Stevens grew up in the northern California city of Piedmont. He graduated from the University of California, Berkeley, in 1982 and received a law degree from the University of California's Hastings College of the Law in San Francisco in 1989, according to the State Department. Stevens is survived by a sister, Clinton said.